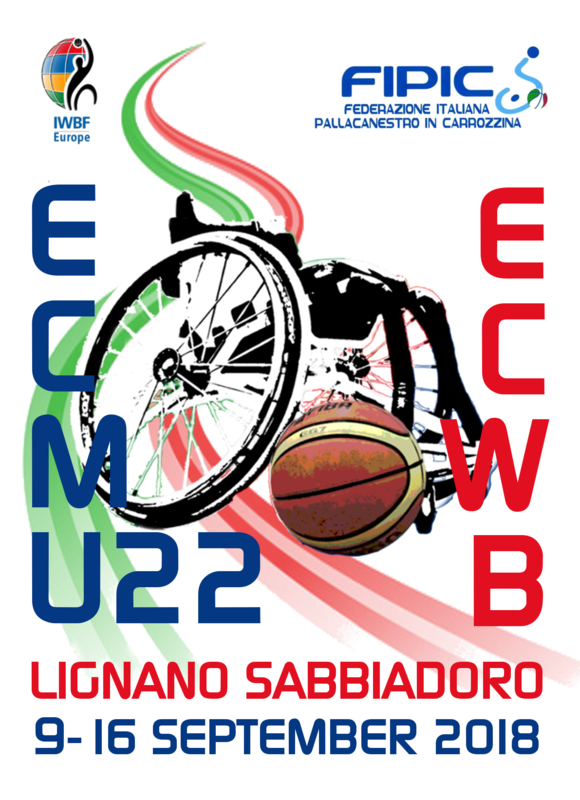 On behalf of IWBF Europe we have the pleasure to inform you that the 10th European Championship for Men, Under 22 – 2018 (ECMU22) has been awarded to the Italian Basketball Federation. The dates are 9 – 16 September 2018 (UPDATE NEW DATE). During the last Congress in Tenerife is as decided that from now on the "Men Under 22" championship will only be for men. This means that no longer women are allowed to participate in this Men Under 22 championship. On behalf of IWBF Europe we have the pleasure to inform you that the 2nd European Championship for Women, Division B – 2018 (ECWB) has been awarded to the Italian Basketball Federation. The dates are 12 – 16 September 2018 (UPDATE NEW DATE).